A look at the way the Roman Empire has sometimes been used as an historical precedent for the European Union, and specifically the way that the integration of the Roman monetary system has been seen as a (sometimes justifying) precedent for modern European monetary union. 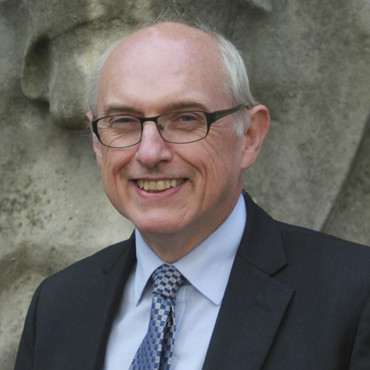 Dr Andrew Burnett was the Deputy Director of The British Museum until 2013. Formerly Keeper of Coins and Medals at the British Museum, Dr Burnett's major research work is his multi-volume/digital Roman Provincial Coinage, which looks at the coinages struck by subsidiary communities under Roman rule between the death of Caesar and the second century AD. He has published many coin hoards of Roman Britain. He is a Trustee of the Royal Armouries, Chairman of the Royal Mint Museum, and President of the Royal Numismatic Society. A Precedent for Monetary Union? “The euro replaces national currencies that have a long history. The oldest is the Greek drachma, in use over 2 500 years ago. The Roman emperors used coins to communicate their victories and their policies, and the Roman denarius and aureus were accepted from the British Isles to Turkey – the first pan-European currency”. 1. For most of the 500 years of its existence, the currency of the Roman empire was diverse. 2. Although the Romans could have unified it, they did not. 3. Indeed there are signs that they tried to maintain its diversity. 4. Nevertheless it became unified in two separate stages, 200 years apart, but neither stage was caused by government intervention. Rome itself first made coinage from about 300 BC, roughly the date which also marked the beginning of its long period of territorial expansion. As the Romans expanded their rule, they naturally encountered many diverse monetary systems in the areas which they took over. But in only one case (an interesting case to which we shall return in section 2) did they intervene to change these systems. In every single other case of annexation of absorption of new territories (exactly how many depends on exactly how you count them, but we are talking of about 30 cases) they just took over the system which had existed before. I give just one example. The kingdom of Pergamum had used in the second century BC a coinage of silver coins known as cistophori, and this coinage continued at the same mints after the acquisition of the kingdom as the Roman province of Asia in 133 BC. In the case of the cistophori produced at Ephesus, we can distinguish between pre-Roman and Roman examples only as a result of the appearance of a date of the new city era; at other mints, such as Pergamum, it is still very difficult to distinguish the issues made before 133 from those made later, and this underlines the point that the change in political conditions had no visible effect on the coins in question. Cistophori continued to be made for Asia throughout the first century BC and occasionally in the imperial period: under Claudius, Titus, Domitian, Hadrian and Severus. So the coinage of most of the Roman world for the 500 or so years from its beginnings until about AD 250 consisted, on the one hand, of a mixture of silver and bronze (and from the late 1st century) gold coins, minted centrally at Rome and on a large scale, and, on the other hand, a mass of small issues, mostly in bronze, but also some in silver, minted locally in the provinces with the names of individual cities and sometimes city officials. The principal places of production for silver were Caesarea in Cappadocia, Antioch and Alexandria, while bronze was produced by a very large number of cities: some 200 under Augustus, rising to a maximum of over 500 in the early 3rd century. Just as there was a great variety of different coins themselves, there was also more than one way of accounting. The standard Roman system of reckoning consisted of the silver denarius, divided into 4 sestertii, each of which was divided into 4 asses, each of which was divided into 4 quadrantes; accounts and sums of money were usually expressed in sestertii. But when the Romans conquered other areas, especially in the east, they met other systems, some based on the silver stater, and others based the silver tetradrachm, each divided into 4 drachms, each divided into 6 obols; the obol was divided into fractions called chalkoi, although the number might vary between 6 and 12 depending on the area. Amounts would be expressed sometimes in staters, sometimes tetradrachms, and so on. All these systems remained after the Roman conquests, and we have evidence for them as late as the third century AD. 2. Although the Romans could have unified the currency of the empire, they did not. One might conclude from this that the Romans had no desire to change the coinages of the provinces they acquired. This is all the more interesting, given two further considerations: first we can see that they could have forced all their subjects to use the same coins if they had wanted to; and secondly, that they did not do this is all the more remarkable since they had a conception of all these provincial coinages that they inherited as being in some sense foreign. First the evidence that they could have unified the currency. In a passage of the History of Rome, written much later by the Roman senator Cassius Dio (52.30.9), an imaginary conversation is held between the two great advisers of the first emperor Augustus. Set in 29 BC, their discussion covers many aspects of the empire and its government. At one stage Dio has Maecenas suggest the idea that none of the cities of the empire should use their own coins, weights or measures, but that they all should use Roman ones. This remark shows that it did occur to the Romans that they might unify the currency of their Empire. That they had the ability to do so can perhaps hardly be doubted on general grounds, and is in fact demonstrated by the one exception to the way that they normally absorbed local currency systems. With the final annexation of Carthage in 146 BC and the destruction of the city they had come to hate so much – ‘delenda est Carthago’, ‘Carthage must be destroyed’ as the Roman statesman Cato fulminated - the Romans also decided to get rid of the Carthaginians’ gold and silver coinage and replace it with their own silver denarii. This must have been a very extensive and costly operation, and shows the degree to which their loathing of Carthage must have motivated them. The second point that makes the Romans’ tolerance of all the other coinage systems even more surprising to our way of thinking is that they do indeed seem to conceive of them as being ‘foreign’ in some sense. The passage of Dio illustrates the point: ‘none of them should use their own coins, weights or measures, but they all should use ours’. Another writer, in the second century AD, can use the term ‘foreign coin’ (peregrinus nummus) to refer to the silver coinage in use in Syria (Maecianus para 45), and we find the terms ‘Roman denarius’ or ‘Italian as’ in inscriptions in the eastern part of the Roman Empire, in contrast to the local non-Italian coins. This distinction between ‘our’/‘Roman’/‘Italian’ and ‘their’/‘foreign’ coins isn’t just a conceptual point. It had practical disadvantages: even a provincial governor, such as Cicero, had to pay a commission to change non-Roman into Roman coins, something he complained bitterly about in one of his surviving letters (Cicero, Epistulae ad Atticum xii.6.1: sed certe in collybo est detrimenti satis). The distinction is also, I believe, highly relevant when we come to consider in section 4 the first step of the unification of the monetary system in the western empire in AD 40. The evidence for this is not strong, but I think it should be set out, given its obvious relevance to the theme of this discussion. I give three examples. (a) First, let us consider what happened in Spain in the second century BC, a couple of generations after the Roman conquest at the end of the third century BC. From the end of the third century some coins minted at Rome, like the silver denarius, had entered circulation in Spain, but not very many. But sometime in the middle of second century BC, we find a new sort of ‘Iberian coinage’ in silver and bronze. The silver is loosely based on the Roman denarius; it is the same size and weight and has a single horseman on the back. The bronze has the same designs, but does not follow Roman metrology. The coins bear an inscription, not in Latin but in Iberian script, referring to city or community which made them. There were some 100 of these communities, and they all, with only minor variations, made identical coins, which circulated throughout Spain. Since we have 100 or so identical coinages starting at exactly the same time, we cannot doubt that there was some sort of central co-ordination behind them, and - given the fluid political situation in Spain at the time - it is hard to see who could have provided this co-ordination other than the Roman authorities. So we seem to have the Romans creating a local coinage within their own empire. (b) Something analogous seems to have happened 300 years later in the 2nd century AD in the Roman province of Asia (modern Turkey) and some nearby areas. Here we find a system under which some 200 cities issued their own coinage, but did not produce it themselves. Its production, rather, was based in 10-12 central mints, as technical considerations show. Once again we have to ask who was behind these mints, and once again the most likely answer seems to be the Roman authorities. (c) Finally, a clearer, if smaller-scale case. There are a number of instances where the mint of Rome ‘helped’ local coinages, by making them on behalf of provincial communities. The coins would be made at the mint of Rome with the relevant weight, fineness, designs and language, and then sent to the relevant area for issue. For example, at the end of the first century AD, we find the mint of Rome making bronze coins for Cyprus, Syria, and Judaea, and silver coins for Asia, Cappadocia, and Lycia. All these examples clearly helped maintain local coinages and local coinage systems. 4. Nevertheless it became unified in two separate stages, 200 years apart, but neither was caused by government intervention. (a) In about AD 40, the diverse currency of the western, Latin speaking part of the empire was replaced by a single currency, as an expression of the self-identity of the western cities. First, the ending of local coinage in the West, in the decade before AD 50. This is an important phenomenon which it is not easy to explain, and indeed the question is somewhat controversial. The production of local coinage throughout the western part of the Roman empire (Britain, Gaul, Spain, Sicily and Africa) gradually ceased in the reigns of the emperors Augustus, Tiberius, Caligula and Claudius I, over a period of some 50 years. It is, I think, clear that this cessation was not a direct political act (in which case it would have happened simultaneously everywhere) and that it cannot easily be explained by economic causes (there is no evidence for an impoverishment of civic finances in the west as opposed to the east; and anyway it is arguable that the cost of making civic coinage cannot have been so very great). Given the difficulty of finding a satisfactory political or economic explanation for this phenomenon, I think that we should interpret the change as a sort of cultural phenomenon, an inclination by the communities in the west to use Roman rather than their own coinage. Some evidence to support this view can be found in the nature of the latest examples of local coinage in the west, which show a clear tendency to resemble coins minted at Rome. One finds the same denominations at Rome and in the West (sestertii, dupondii, etc.). In addition, the weight standards used in Spain, for example, were more similar to those in use at Rome, and one finds examples of communities using a new coinage metal - brass - introduced at Rome under Augustus. It was adopted by several cities in Spain under Tiberius and Caligula, and one finds a number of examples of brass sestertii, in shape and colour looking very much like coins minted at Rome. Coins like these were never produced, where weight standards were different and the use of different metals apparently indiscriminate. An analogous tendency can be observed in the designs used on the coinage. These not infrequently copy Roman coins, and some of the latest issues under Caligula are quite astonishingly similar. For example at Rome one finds coins made with the portraits of the emperor, of Divus Augustus, of the emperor&apos;s father and mother, Germanicus and Agrippina the Elder, and for his grandfather Agrippa. Coins were minted at Zaragoza (ancient Caesaraugusta) for all the same five imperial personages; not only that, but most of the coins are close copies of the Roman issues. A second example of the same phenomenon comes from a fairly recent discovery, a coin minted at Ercavica (modern Cuenca), and found in excavations at the city in 1992. It is an extraordinarily close copy of the similar coin minted at Rome depicting Caligula and his three sisters. So the western coinage shows a tendency to look like Roman coinage, and communities preferred to use coinage that looked like Roman coinage. It was not a big step for the western cities and communities to stop making their own and just to use Roman coinage, which was already circulating in the area. In fact they used both centrally produced coinage ‘of Roman style, minted in Lugdunum = Lyon, and locally made imitation coins which, significantly, also copied centrally produced coins rather than the earlier local mintages. Both were expressions of a preference for using ‘Roman’ coinage. On this view, the cessation of the western provincial coinage was an indication that people in the West had a different attitude to their place in the Roman empire from that held by people in the East. This might derive in part at least from the use of a different language (Latin), and perhaps be related to other things like the different aspirations of those in the western part of the empire as opposed to the eastern part. One discussion, for example, has highlighted how ‘in the western and northern provinces the provincials literally became part of the Roman state’ (A.N. Sherwin-White, The Roman Citizenship (1973), p. 402). Whole communities or areas sought political privileges like citizenship. In the East, aspirations were different. Cities competed for status amongst each other: to be the first city of a province (or even, in the case of Magnesia, to be the seventh city of Asia) or metropolis of a province, and especially to have imperial recognition by the award of a temple in honour of the emperor. These were not expressions of a desire to become Romanised in the same way as the West, and it seems to me that this difference may well mirror and help to explain the different nature of city coinage in the West and East. I have already mentioned the more ‘romanised’ appearance of western provincial coinage. The designs used in the East are different. Every now and then they refer to Rome, but almost as if it were some foreign power. For example, in the third century AD coins of Anazarbus in Cilicia record how the city was ‘adorned with Roman trophies’, and those of Side in Pamphylia record that the city is an ‘ally of the Romans’. The designs used in the East, in general, reflect the way that they competed with each other: they try to emphasise their superior mythological origins, their superior architectural achievements, the superior splendour of the games they held, and so on. One could draw several parallels here with other aspects of Roman life, and I will briefly mention one, the debate about the difference between the cult of the emperor in the West and that in the East. The old picture of this difference was that the cult in the West was imposed from the centre whereas in the East it was allowed to develop spontaneously. And this is like the old notion that civic coinage was stopped in the West but allowed to develop in the East. But now we can see, I think, that the pictures of both phenomena need to be modified in similar ways. Today we would not accept that the imperial cult was imposed in the West; our present picture is that it may have developed at least partly as a result of the aspirations of the cities. The different form that it took in the East was the result of the different aspirations of cities in the East; this is why some specifically Roman aspects of the imperial cult are rare in the east. This is what I want to say also of the coinage; the initiative for ending the coinage in the West came from the cities themselves, not from the ‘Roman authorities’. The cities and the attitudes of people in them had a similar power to affect civic coinage in the West, just as in the East. That the result was so different is a reflection of differing attitudes in East and West. (b) In about AD 260/70 the diverse currency of the eastern, Greek speaking part of the empire came to an end, as a result of economic changes beyond the control of the government. By the third century, the huge mass of varied city coinage in the eastern empire (Greece, Turkey, the Levant and Egypt) was still produced by several hundreds of cities, and consisted almost exclusively of bronze issues. As remarked earlier, these did not follow the same pattern of coinage at Rome; the coins were different sizes, used different denominations and had designs which were completely unlike those used at Rome. In about 260, they all stopped, and the cities in all these areas ceased to produce bronze coinage. The important difference between this change and that just described is that the change which affected the East in the middle of the 3rd century also affected the West. The mint of Rome also stopped minting bronze coins in about 260-70, as did a parallel mint set up in rebel Gaul by the usurper Postumus. This cessation can be explained in economic or rather monetary terms. The political and military problems which beset the Roman empire in the third century were enormous. Emperors came and went every few years; the frontier was under intense pressure across the Rhine in the west and from Persia in the east. The Roman government did not have enough money to meet the crisis, so they debased the coinage, particularly of silver but also, for a few years after 250, of gold. Now, although it would be wrong to talk of rampant inflation at this period, it seems plausible to think that the effect of this debasement was an increase in price levels. We can then see the abandonment of the production of low value bronze coinage as just that; the abandonment of coins which played no useful part in life, just as in the modern period small denominations like the half-penny in Britain have dropped out of use and production. It was replaced by a new currency system minted across the empire with the same sorts of coins and designs minted everywhere in the empire. But this, the late Roman empire of Diocletian (AD 284-305) and his successors was one with a very different ideology: the problems of the empire were now so great that it needed a tetrarchy of four co-emperors to rule it successfully, a world where the fragility of the empire’s union was expressed by the strength of its ideology of unification, whether in coinage or ruler portraits. My conclusion is perhaps so obvious that it hardly needs to be stated. Despite a clear wish on the part of the Roman government to tolerate, if not promote, subsidiary coinages, nevertheless the Roman empire moved towards a single currency in two, unrelated stages, neither of which was motivated by the government. This seems to me to be just about the exact opposite of the way most people think of the Roman Empire in the role of precursors to the European Monetary Union. The Roman emperor and his entourage (the Roman ‘government’) was not interested in a single currency and indeed tolerated and perhaps supported the continuation of regional coinages. But if the Roman government’s position was the opposite of that of the European Commission today, nevertheless a parallel between the Roman empire and today can, as I am sure is clear, be seen. To the contemporary debate, the change that happened in the western empire in the first century AD seems the most relevant to today: monetary unions arose as a result of the cultural aspirations of the member-states (= more or less the cities of the Roman empire). Some aspired to a common system, others did not. I offer the proposition that monetary union - unless it is brought about by circumstances beyond our control - was then and is now a cultural phenomenon, not an economic one. There have of course been monetary unions between states, both in the ancient world (e.g. Phocaea and Mytilene or the Syncoinages of Asia Minor) and in the modern world (e.g. the Scandinavian Monetary Union of 1873 between Sweden and Denmark, or the Latin Monetary Union of France, Belgium, Italy and Switzerland, originally formed in 1865 and later joined by Spain and Greece in 1868, and by Romania, Bulgaria, Venezuela, Serbia and San Marino in 1889. However these were essentially agreements to mint gold coins (which had a value of the gold they contained) at the same weight, so they would inevitably be interchangeable.